If you haven’t tried the Pollo Asado Tacos from the Taco Truck, you haven’t really eaten on the High Line. 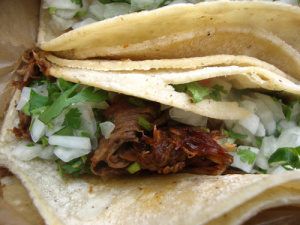 Not that you’ll need another reason to eat here, but all of the ingredients are locally sourced and organic, so you can feel good about sinking your teeth into tacos, like Carnitas Michoacan, a slow-braised sweet pork taco topped with fresh green salsa, onions and cilantro, Chilaquiles and so much more. La New Yorkina is back for a third season with bigger and bolder flavors and we couldn’t be more excited to try every last one. Continuing her mission to deliver genuine paletas — Latin America’s answer to popsicles — to New Yorkers, Pastry Chef Fany Gerson has created a slew of new popsicles for the summer weather. Prepare to be wowed by imaginative flavors, including roasted plum, yogurt with berry swirl, avocado, coconut, lime and chili, mango and tamarind. 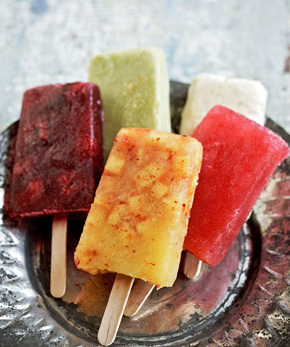 New Yorkina’s raising the bar on frozen summer treats one paleta at a time. What is summer without ice cream sandwiches? Seriously, it’s just not the same. Melt takes this hot weather classic to a new level with a sweet bounty of creative flavors, including “The Lovelet,” a tangy cream cheese ice cream sandwiched between two red velvet “love cakes.” If you’re in the mood for something more timeless, “The Classic” with two chocolate chip walnut cookies and vanilla ice cream could be the ideal choice. Right about now, we’re craving a “Cinnamax,” made with homemade Snickerdoodle Cookies and Cinnamon Ice Cream. I don’t know about you, but I forget all about the view when taking down one of these bad boys. This season, a unique new vendor joins the High Line. That’s right. 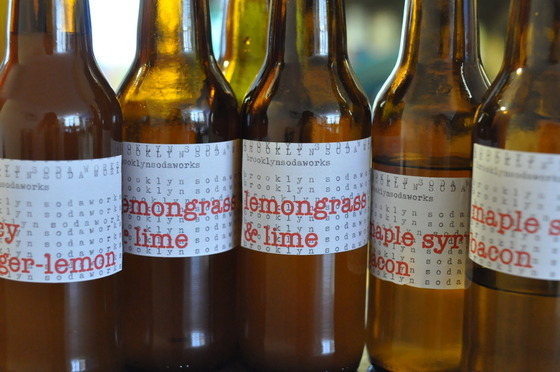 Brooklyn Soda Works is the High Line’s very first soda bar with wonderfully innovative flavors, like Apple & Ginger, Hibiscus & Mint, Lemongrass & Lime, and Tart Cherry, to name just a few. And all of Brooklyn Soda Works’ beverages are carbonated fresh fruit juices, made from seasonal, local ingredients whenever possible and always homemade — perfect for the dog days of summer. The definitive, New York street vendor treat, the pretzel, has found its place on the High Line and rightfully so. 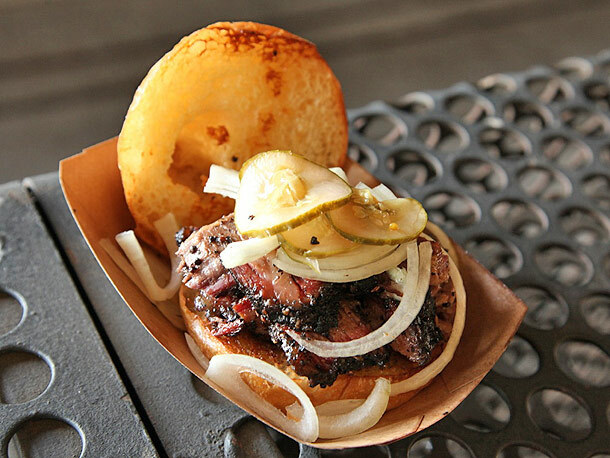 But this isn’t your ordinary street pretzel, thawed and served lukewarm. Baked fresh daily, these soft, chewy creations come in unique flavors, such as Truffle Cheddar, Feta Olive, Bacon Scallion, Pumpkin or Sunflower Seeded, Cinnamon Raisin. Any one is the perfect snack to enjoy a classic New York moment, watching the summer sun set over the Hudson River.